^ 3.0 3.1 Butler 1998, p. 10. ^ 4.0 4.1 Butler 1998, pp. 16–20. ^ 5.0 5.1 5.2 Titanic Fast Facts. 有線電視新聞網. 2018-03-29 [2018-06-22]. ^ 11.0 11.1 Butler 1998, p. 238. ^ 13.0 13.1 Howells 1999, p. 95. ^ Cooper, Gary (2011). 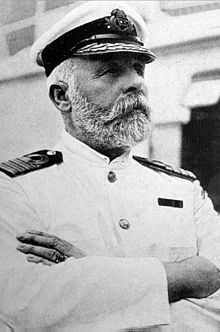 Titanic Captain: The Life of Edward John Smith. The History Press（英语：The History Press）. 2011-10-01: 133. ISBN 978-0752460727. ^ Samuel Halpern. Fire Down Below (PDF). Titanicology. [2017-02-07]. （原始内容存档 (PDF)于2017-01-08）. ^ 21.0 21.1 Ballard 1987, p. 199. ^ 22.0 22.1 22.2 Ryan 1985, p. 9. ^ 23.0 23.1 23.2 Barczewski 2006, p. 191. ^ 24.0 24.1 24.2 24.3 Ryan 1985, p. 10. ^ 25.0 25.1 Ryan 1985, p. 11. ^ 29.0 29.1 29.2 Mr Charles Herbert Lightoller. Encyclopedia Titanica（英语：Encyclopedia Titanica）. [2018-07-05]. ^ 32.0 32.1 32.2 32.3 32.4 32.5 Forgotten journal reveals how man survived 1912 disaster. 紐約郵報. 2012-04-08 [2018-06-30]. ^ 35.0 35.1 Brown 2000, p. 47. ^ 36.0 36.1 36.2 Levy, Nigel (Director). Titanic's Final Mystery. 國家地理頻道 (Motion Picture) (Various: Breen, Simon). 2012-04-15 [2018-06-13]. （原始内容存档于2017-11-22）. ^ Broad, William J. A New Look at Nature’s Role in the Titanic’s Sinking. 紐約時報. 2012-04-09 [2018-04-15]. （原始内容存档于2018-06-15）. ^ Where Is Iceberg Alley. 美國海岸防衛隊導航中心（U.S. Coast Guard Navigation Center）. [2018-06-13]. （原始内容存档于2017-12-06）. ^ Peter, Stanford. The truth about the sinking of the Titanic. 每日電訊報. 2010-09-21 [2016-07-04]. （原始内容存档于2016-07-10）. 評論來自—— Patten, Louise. Good as Gold. Quercus Publishing（英语：Quercus (publisher)）. 2010. ^ 47.0 47.1 Testimony of Edward Wilding. [2014-10-06]. （原始内容存档于2014-01-05）. ^ 48.0 48.1 Broad 1997. ^ 49.0 49.1 49.2 49.3 Ballard 1987, p. 25. ^ 55.0 55.1 Ewers 2008. ^ Testimony of Mrs J Stuart White at the US Inquiry. Titanic Inquiry Project. [2017-05-01]. （原始内容存档于2017-04-21）. ^ 63.0 63.1 63.2 Mersey 1912. ^ 64.0 64.1 64.2 Ballard 1987, p. 22. ^ 66.0 66.1 Butler 1998, p. 71. ^ 72.0 72.1 Halpern & Weeks 2011, p. 118. ^ 77.0 77.1 77.2 Barczewski 2006, p. 20. ^ 81.0 81.1 Bartlett 2011, p. 124. ^ 83.0 83.1 83.2 Barczewski 2006, p. 21. ^ 84.0 84.1 Bartlett 2011, p. 123. ^ 90.0 90.1 Butler 1998, pp. 250–52. ^ 93.0 93.1 Mowbray 1912, p. 279. ^ 95.0 95.1 Cox 1999, p. 52. ^ 98.0 98.1 Lord 1976, pp. 73–74. ^ 102.0 102.1 Halpern & Weeks 2011, p. 126. ^ 105.0 105.1 Butler 1998, p. 225. ^ 107.0 107.1 107.2 Ballard 1987, p. 24. ^ Dodge, Washington; Lindsey Nair. Survivors share lifeboat; descendants share local ties. The Roanoke Times（英语：The Roanoke Times）. 2012-04-15 [2012-05-02]. （原始内容存档于2012-09-09）. ^ Testimony of Henry James Moore at the US Inquiry. Titanic Inquiry Project. [2017-05-01]. （原始内容存档于2017-04-22）. ^ 122.0 122.1 122.2 Lord 1976, p. 84. ^ Poppy Danby. Titanic letter reveals new first-hand account of disaster. 每日電訊報. 2014-03-21 [2016-09-24]. ^ 125.0 125.1 125.2 Barczewski 2006, p. 284. ^ Gittins，Akers-Jordan & Behe 2011, p. 167. ^ 131.0 131.1 Ballard 1987, p. 26. ^ 135.0 135.1 Eaton & Haas 1994, p. 155. ^ 136.0 136.1 136.2 Ballard 1987, p. 222. ^ 137.0 137.1 Winocour 1960, p. 296. ^ Testimony of Arthur Bright. [2014-10-06]. （原始内容存档于2014-01-01）. ^ Testimony of Hugh Woolner. Titanic Inquiry Project. [2014-10-06]. （原始内容存档于2015-04-17）. ^ 142.0 142.1 Barczewski, Stephanie. Titanic: A Night Remembered. A & C Black（英语：A & C Black）. 2006: 132–33. ISBN 9781852855000. ^ 143.0 143.1 Howells 1999, p. 128. ^ 149.0 149.1 Winocour 1960, p. 317. ^ 150.0 150.1 Winocour 1960, pp. 138–39. ^ 151.0 151.1 British Wreck Commissioner's Inquiry Day 6 – Testimony of Charles Joughin. Titanic Inquiry Project. [2017-11-05]. （原始内容存档于2017-09-21）. ^ 153.0 153.1 Bartlett 2011, p. 224. ^ Testimony of Harold Bride at the US Inquiry. Titanic Inquiry Project. [2014-10-06]. （原始内容存档于2014-07-08）. ^ Mrs. Eleanor Widener, first class passenger. 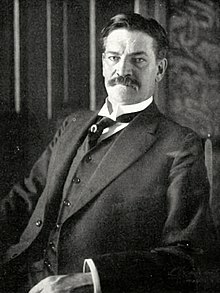 威廉·麥克馬斯特·穆迪（英语：William McMaster Murdoch）. [2014-10-06]. （原始内容存档于2014-10-06）. ^ Shots in the dark. Wormstedt. [2014-10-06]. （原始内容存档于2013-10-19）. ^ Captain Edward John Smith. titanic-lore. [2014-10-06]. （原始内容存档于2014-08-22）. ^ Barratt 2010, p. 131. ^ 164.0 164.1 Winocour 1960, p. 299. ^ 165.0 165.1 Barczewski 2006, p. 28. ^ 169.0 169.1 Beesley 1960, p. 47. ^ Titanic Sinking CGI. 國家地理頻道. [2016-02-17]. （原始内容存档于2016-02-24）. ^ Uchupi，Ballard & Lange 1986. ^ 179.0 179.1 Ballard 1987, p. 206. ^ 180.0 180.1 Ballard 1987, p. 205. ^ 181.0 181.1 181.2 Butler 1998, p. 140. ^ Hypothermia safety. United States Power Squadrons. 2007-01-23 [2008-02-19]. （原始内容存档于2008-12-08）. ^ 190.0 190.1 Barratt 2010, pp. 199–200. ^ Testimony of Thomas Ranger. Titanic Inquiry Project. [2014-10-06]. （原始内容存档于2014-10-06）. ^ Barczewski 2006, p. 30. ^ 197.0 197.1 Bartlett 2011, p. 230. ^ 202.0 202.1 202.2 Bartlett 2011, p. 238. ^ 204.0 204.1 Bartlett 2011, pp. 240–41. ^ 205.0 205.1 Bartlett 2011, p. 242. ^ 208.0 208.1 Butler 1998, p. 156. ^ 212.0 212.1 Bartlett 2011, p. 266. ^ 213.0 213.1 Lord 1976, pp. 196–97. ^ 219.0 219.1 Barczewski 2006, p. 266. ^ Barczewski 2006, pp. 221–222. ^ 227.0 227.1 Butler 1998, p. 195. ^ Barczewski 2006, pp. 70–71. ^ 231.0 231.1 Lynch 1998, p. 189. ^ 235.0 235.1 Eaton & Haas 1994, p. 310. ^ Foster 1997, pp. 22–23. 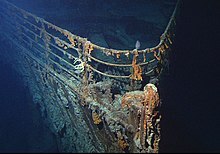 ^ The wreck of the Titanic is being eaten and may soon vanish. 英國廣播公司. 2018-02-05 [2018-06-16]. 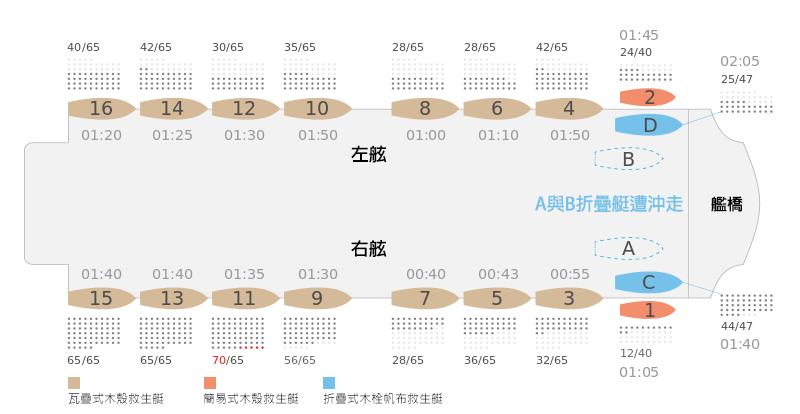 （原始内容存档于2018-04-23）. ^ Mr George Rosenshine. Encyclopedia Titanica（英语：Encyclopedia Titanica）. [2018-06-28]. ^ Copping, Jasper. Lost child of the Titanic and the fraud that haunted her family. 每日電訊報. 2014-01-19 [2014-01-24]. （原始内容存档于2014-01-23）. Barczewski, Stephanie. Titanic: A Night Remembered. London: Continuum International Publishing Group. 2006. ISBN 978-1-85285-500-0. Barratt, Nick. Lost Voices From the Titanic: The Definitive Oral History. London: Random House. 2010. ISBN 978-1-84809-151-1. Bartlett, W.B. 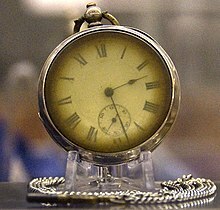 Titanic: 9 Hours to Hell, the Survivors' Story. Stroud, Gloucestershire: Amberley Publishing. 2011. ISBN 978-1-4456-0482-4. Beesley, Lawrence. The Loss of the SS. Titanic; its Story and its Lessons. The Story of the Titanic as told by its Survivors. London: Dover Publications. 1960 . ISBN 978-0-486-20610-3. Björkfors, Peter. The Titanic Disaster and Images of National Identity in Scandinavian Literature. (编) Bergfelder, Tim; Street, Sarah. The Titanic in myth and memory: representations in visual and literary culture. London: I.B. Tauris. 2004. ISBN 978-1-85043-431-3. Brown, David G. The Last Log of the Titanic. New York: McGraw-Hill Professional. 2000. ISBN 978-0-07-136447-8. Butler, Daniel Allen. Unsinkable: The Full Story of RMS Titanic. Mechanicsburg, PA: Stackpole Books. 1998. ISBN 978-0-8117-1814-1. Chirnside, Mark. The Olympic-class ships : Olympic, Titanic, Britannic. Stroud, Gloucestershire: Tempus. 2004. ISBN 978-0-7524-2868-0. Cox, Stephen. The Titanic Story: Hard Choices, Dangerous Decisions. Chicago: Open Court Publishing. 1999. ISBN 978-0-8126-9396-6. Eaton, John P.; Haas, Charles A. Titanic: Destination Disaster: The Legends and the Reality. Wellingborough, Northamptonshire: Patrick Stephens. 1987. ISBN 978-0-85059-868-1. Eaton, John P.; Haas, Charles A. Titanic: Triumph and Tragedy. Wellingborough, Northamptonshire: Patrick Stephens. 1994. ISBN 978-1-85260-493-6. Everett, Marshall. Wreck and Sinking of the Titanic. Chicago: Homewood Press. 1912. OCLC 558974511. Foster, John Wilson. The Titanic Complex. Vancouver: Belcouver Press. 1997. ISBN 978-0-9699464-1-0. Georgiou, Ioannis. The Animals on board the Titanic. Atlantic Daily Bulletin (Southampton: British Titanic Society). 2000. ISSN 0965-6391. Gittins, Dave; Akers-Jordan, Cathy; Behe, George. Too Few Boats, Too Many Hindrances. (编) Halpern, Samuel. Report into the Loss of the SS Titanic: A Centennial Reappraisal. Stroud, Gloucestershire: The History Press. 2011. ISBN 978-0-7524-6210-3. Gleicher, David. 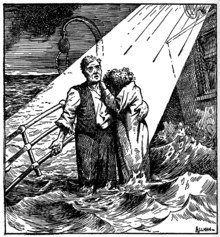 The Rescue of the Third Class on the Titanic: A Revisionist History. Research in Maritime History, No. 31. St. John's, Newfoundland: International Maritime Economic History Association. 2006. ISBN 978-0-9738934-1-0. Anderson, D. Brian. 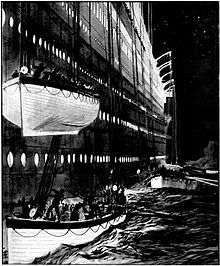 The Titanic in Print and on Screen. Jefferson, North Carolina: McFarland & Company. 2005. ISBN 0-7864-1786-2. Gracie, Archibald. The Truth about the Titanic. New York: M. Kennerley. 1913. Also published as: Gracie, Archibald. Titanic: A Survivor's Story. The History Press. 2009. ISBN 978-0-7509-4702-2. Halpern, Samuel. Account of the Ship's Journey Across the Atlantic. (编) Halpern, Samuel. Report into the Loss of the SS Titanic: A Centennial Reappraisal. Stroud, Gloucestershire: The History Press. 2011. ISBN 978-0-7524-6210-3. Halpern, Samuel; Weeks, Charles. 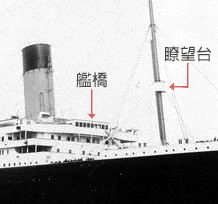 Description of the Damage to the Ship. (编) Halpern, Samuel. Report into the Loss of the SS Titanic: A Centennial Reappraisal. Stroud, Gloucestershire: The History Press. 2011. ISBN 978-0-7524-6210-3. Hoffman, William; Grimm, Jack. Beyond Reach: The Search For The Titanic. New York: Beaufort Books. 1982. ISBN 978-0-8253-0105-6. Howells, Richard Parton. The Myth of the Titanic. New York: Palgrave Macmillan. 1999. ISBN 978-0-312-22148-5. Hutchings, David F.; de Kerbrech, Richard P. RMS Titanic 1909–12 (Olympic Class): Owners' Workshop Manual. Sparkford, Somerset: Haynes. 2011. ISBN 978-1-84425-662-4. Kuntz, Tom. The Titanic Disaster Hearings. New York: Pocket Book. 1998. ISBN 978-1-56865-748-6. Lynch, Donald. Titanic: An Illustrated History. New York: Hyperion. 1998. ISBN 978-0-786-86401-0. Marcus, Geoffrey. The Maiden Voyage. New York: Viking Press. 1969. ISBN 978-0-670-45099-2. Marshall, Logan. Sinking of the Titanic and Great Sea Disasters. Philadelphia: The John C. Winston Co. 1912. OCLC 1328882. Mills, Simon. RMS Olympic – The Old Reliable. Dorset: Waterfront Publications. 1993. ISBN 0-946184-79-8. Regal, Brian. Radio: The Life Story of a Technology. Westport, CT: Greenwood Publishing Group. 2005. ISBN 978-0-313-33167-1. Richards, Jeffrey. Imperialism and Music: Britain, 1876–1953. Manchester: Manchester University Press. 2001. ISBN 978-0-7190-6143-1. Turner, Steve. The Band that Played On. Nashville, TN: Thomas Nelson. 2011. ISBN 978-1-59555-219-8. Winocour, Jack (编). The Story of the Titanic as told by its Survivors. London: Dover Publications. 1960. ISBN 978-0-486-20610-3. Zumdahl, Steven S.; Zumdahl, Susan A. Chemistry. Belmont, CA: Cengage Learning. 2008. ISBN 978-0-547-12532-9. Foecke, Tim. What really sank the Titanic?. Materials Today (Elsevier). 2008-09-26, 11 (10): 48 [2012-03-04]. doi:10.1016/s1369-7021(08)70224-4. Maltin, Tim. Did the Titanic Sink Because of an Optical Illusion?. Smithsonian (Smithsonian Institution). March 2012. Uchupi, Elazar; Ballard, Robert D.; Lange, William N. Resting in Pieces: New Evidence About Titanic's Final Moments. Oceanus (Woods Hole, MA: Woods Hole Oceanographic Institution). Fall 1986, 29 (3): 53–60. Broad, William J. Toppling Theories, Scientists Find 6 Slits, Not Big Gash, Sank Titanic. 紐約時報. 1997-04-08 [2011-11-05]. Broad, William J. In Weak Rivets, a Possible Key to Titanic's Doom. 紐約時報. 2008-04-15 [2012-03-13]. Ewers, Justin. The Secret of How the Titanic Sank. 美國新聞與世界報導. 2008-09-25 [2012-04-11]. 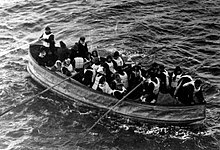 Passenger List and Survivors of Steamship Titanic. United States Senate Inquiry. 1912-07-30 [2011-06-05]. Portman, Jamie. U.K. Titanic exhibit an off-season draw. The Toronto Star. 1994-11-12. Report on the Loss of the "Titanic." (s.s.). British Wreck Commissioner's Inquiry. 1912-07-30 [2012-02-12]. （原始内容存档于2014-08-22）. Report on the Loss of the "Titanic." (s.s.). British Wreck Commissioner's Inquiry, Final Report (Description of the ship Watertight Compartments.). 1912-07-30 [2012-04-14]. （原始内容存档于2014-01-03）. Report on the Loss of the "Titanic." (s.s.). 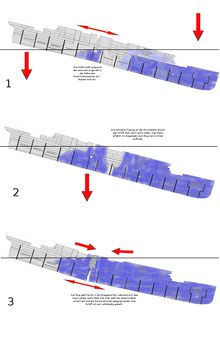 British Wreck Commissioner's Inquiry, Final Report (Description of the Damage to the Ship and its Gradual Final Effect Observations). 1912-07-30 [2012-04-14]. （原始内容存档于2014-01-03）.